Sometimes we don't look kindly on institutions that try to re-invent something sacred to us. Tucson Tamale is not one of those. They insist on perfect, healthy ingredients and then give their imaginations the green light. 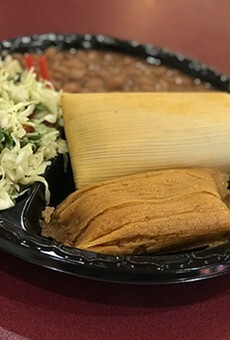 That has resulted in over 25 varieties, like yellow curry with organic vegetables and a Thanksgiving tamale with turkey and traditional veggies wrapped in sage masa. Each precious package is handmade and steamed, and they ship this goodness everywhere.